With open APIs, Cisco's developer community can customize everything from the network to video room systems. 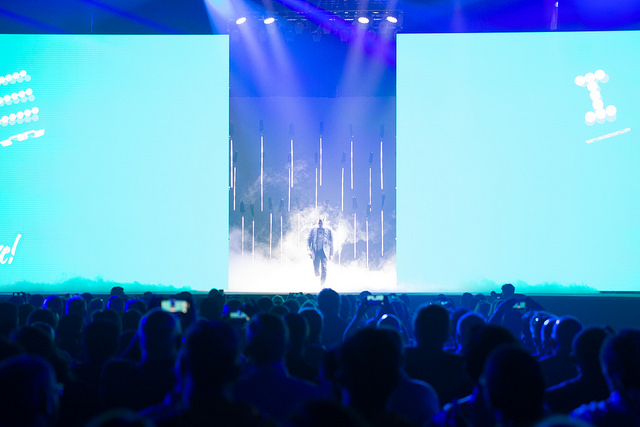 Cisco's big focus this week at its annual customer and partner conference, Cisco Live, was the enterprise network, with CEO Chuck Robbins (after making a rather dramatic entrance, as shown below) spending most of his opening keynote highlighting the company's message that the network will "power the future" and enable businesses to transform -- and making sure everyone knows that we're on the brink of the "network's next act." The new programming capabilities not only open the network to developers, but also to network engineers and roughly 60,000 Cisco partners. In fact, 15 partners have already built solutions on the DNA Center platform, Cisco said. Cisco channel partner Accenture, for example, has integrated ServiceNow, its IT service management software, with the network so the occurrence of a network problem automatically generates a trouble ticket. 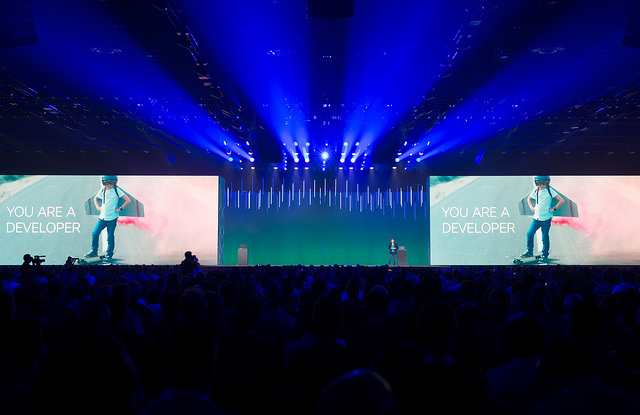 Cisco's developer community, DevNet, now has more than 500,000 members, reaching "critical mass," and spurring a new model for networking innovation, Susie Wee, DevNet VP and CTO, shared in a Cisco Blogs post. The DevNet ecosystem "will be the hub of the next generation of applications and the next generation of business," she wrote. The DevNet community, evenly split between application and infrastructure developers, is working on everything from network automation to Internet of Things (IoT) applications, hybrid cloud applications, and business applications featuring embedded collaboration capabilities (more on that in a minute), Wee said.